The LMYC is happy to bring back Sunday afternoon yoga! We’re going to mix it up a bit with a rotating roster of teachers for our new class – Sunday Mix Yoga. Classes may include yin, restorative, body rolling, vinyasa flow, gentle flow, or a mix of styles. All classes can accommodate any level of experience. Check the schedule if you’re looking for a particular teacher. Please join us for a great way to ease into a new week! 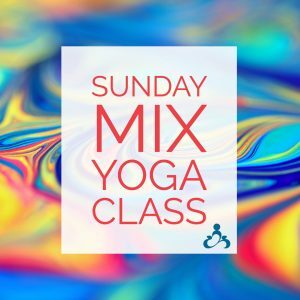 Sunday Mix Yoga starts October 28 at 3:00 PM. Please note that because of the Prenatal Workshop on November 4, Sunday Mix will begin at 4:45 PM that day. Beginning November 11, Sunday Mix Yoga will be held every Sunday at 3:00 PM.